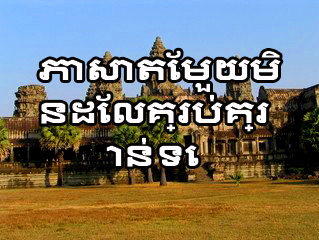 Do you need any translation or interpretation service from English to Khmer or Khmer to English? Send your files or enquiry at: contact@e-ling.eu - we will contact you within 60 minutes Monday-Friday. In emergency, call +48 609 999 999 - (English). Express 24/7 service - click here. Price list here.